By far my favourite choice, the studio gym offers a completely different experience to other gyms. I’ve been very fortunate to find myself working at True Gym Westend and love training my clients there. From the moment you enter you feel part of something. Depending on the client and time of day, I can change the music to set the tone for the days training. The gym is newly built with state of the art equipment allowing me to plan sessions I would not have been able too in other gyms. The move to a private studio has allowed me to give my clients better, more structured training programmes with less compromise. I hope one day to be able to open my own and therefor can continue to provide the best. Having worked in commercial gyms for number of years, I have mixed feelings about them. Their reach and accessibility to the public making them great as a starting point for new gyms goers. However I found myself getting frustrated with the large number of members, don’t get me wrong, I find the fact that they encourage so many people to exercise fantastic, but as a personal trainer, I don’t have enough fingers and toes to count the amount of times I’d have to wait for equipment or have to compromise my clients session because it was just to busy. Now I don’t want to make it appear like commercial gyms can’t get you to where you want to be, far from it, I do however feel that once you get there, you’ll want to move on and continue to explore and expand your training ability. This is definitely the flavour of the month at the moment. Crossfit gyms can offer general members of the public an opportunity to train like athletes. I was a big fan of these at the beginning and to a certain extent I still am, but where these gyms can fall short is with a weak coaching team. The concept that crossfit was built on is extremely sound, and is what, in time, we should all look to aim for, constant variability. However, with the huge expansion of these types of gyms, many where opened by less than capable trainers, never mind the amount of gyms that opened offering a similar experience, just not under the crossfit flag. This has led to some bad press. All that been said, if you do your experience and research the trainers you could find yourself in for some fantastic training. 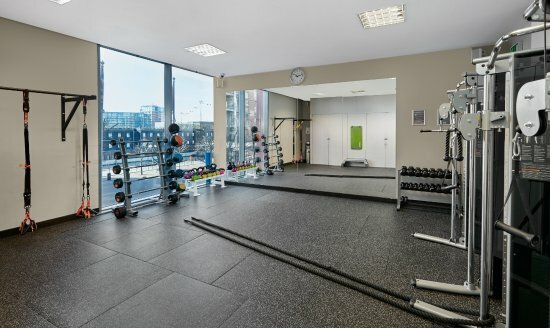 Luckily enough for Glasgow goers, the crossfit gyms in the city are of a high standard. 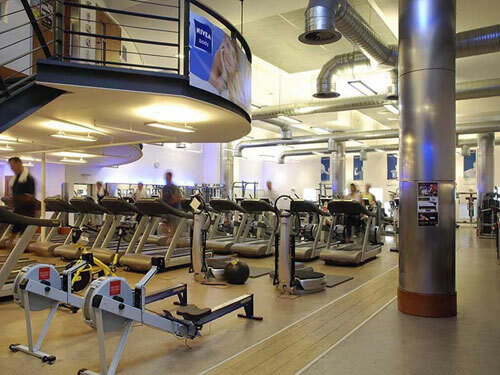 Leisure centres are all about the overall experience, from the minute you walk in the door, it’s more of a health spa feel then an I’m here to do a workout feel. For this reason, I’ve always felt like these are fine if you really aren’t to bothered about getting results, but rather its more of a counter balancing the guilt of over indulging from the weekend. Having said that health spas have their place at the table, with most including swimming pools, tennis courts, saunas and Jacuzzis, they offer the other side of the industry, for those who aren’t wanting to lift weights. They allow you to keep your body moving and stay fit as well as give you access to relaxing Jacuzzis not easily found anymore in other gyms. Last in the list and not least, although they tend to be much simpler in equipment provided, I don’t go on any holiday without first checking if they have a gym available. More creativity is usually required and you won’t find yourself packing on major muscle, but they will allow you to keep your body moving a bit during what for me is usually a lazy holiday, laying by the beach. Want a tour around my personal fitness studio? Click here and get in contact.